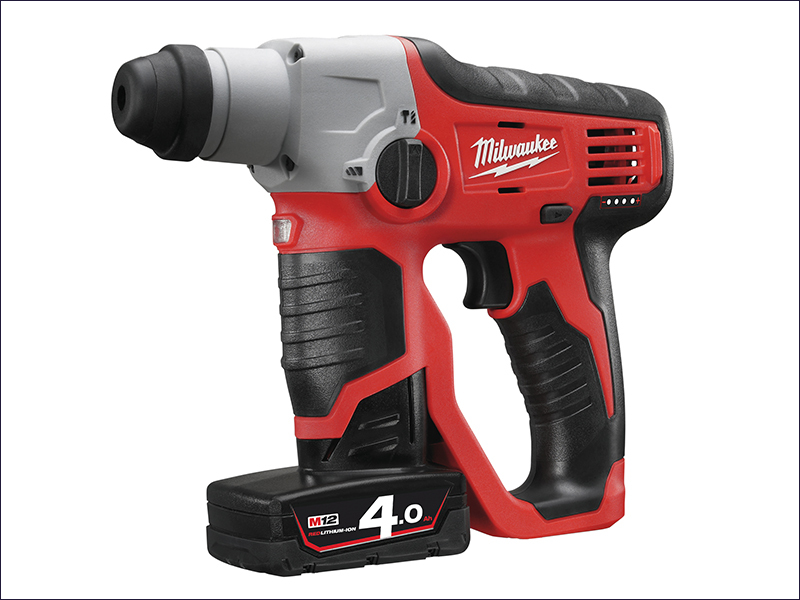 The Milwaukee M12 H Compact Cordless SDS Hammer Drill is a 2 mode drill - hammer drilling and rotary drilling - for maximum versatility. It is ergonomically designed, compact and lightweight to allow work in tight spaces with reduced fatigue during use. REDLINK™ overload protection electronics in the tool and battery pack deliver excellent system durability. It has low vibration (6.7 m/s²) for comfortable use and has an in-built LED light to illuminate the work space in dark areas. Optimised drilling from 4-8mm, with max drilling of 13mm.